I have created a simple graph that lets you see both passages side-by-side to see that they are not just similar but are in fact describing the exact same event. 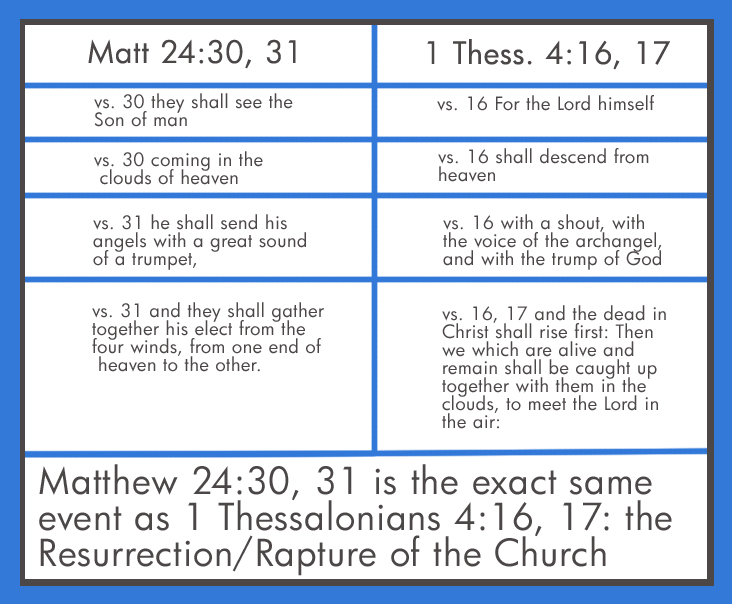 Matthew 24:30, 31 IS the rapture of the Church. Therefore, all that proceeds Matt. 24:30 are signs that precede the rapture of the Church, thus the doctrine of immanency is proven false.